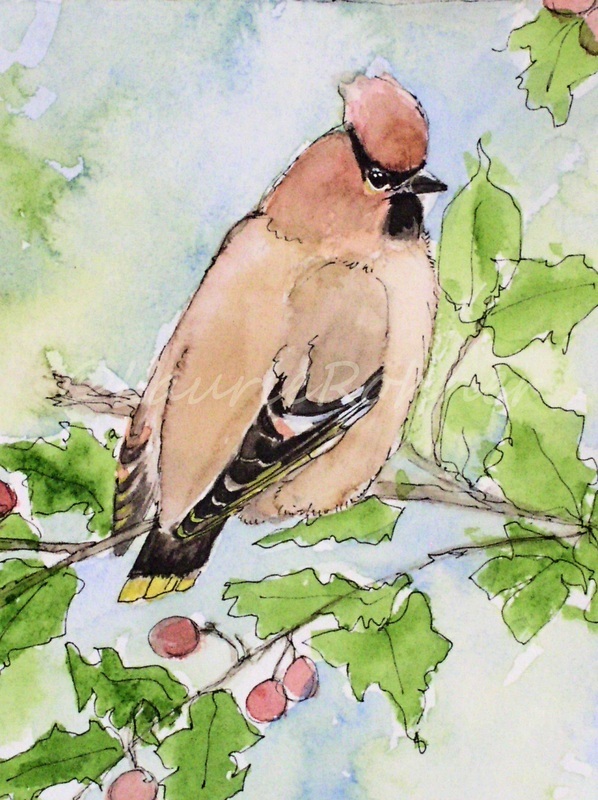 Bird Art Watercolor Nature Original Painting Woodland Cedar Waxwing by Laurie Rohner. 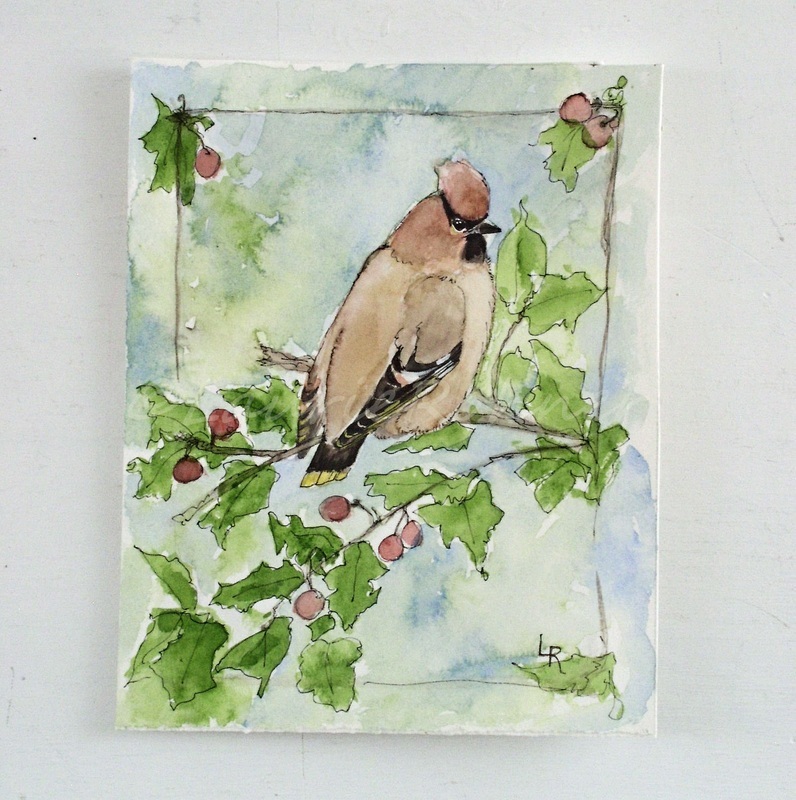 A watercolor original nature painting of a woodland bird titled Cedar Waxwing is an original artwork by Laurie Rohner. 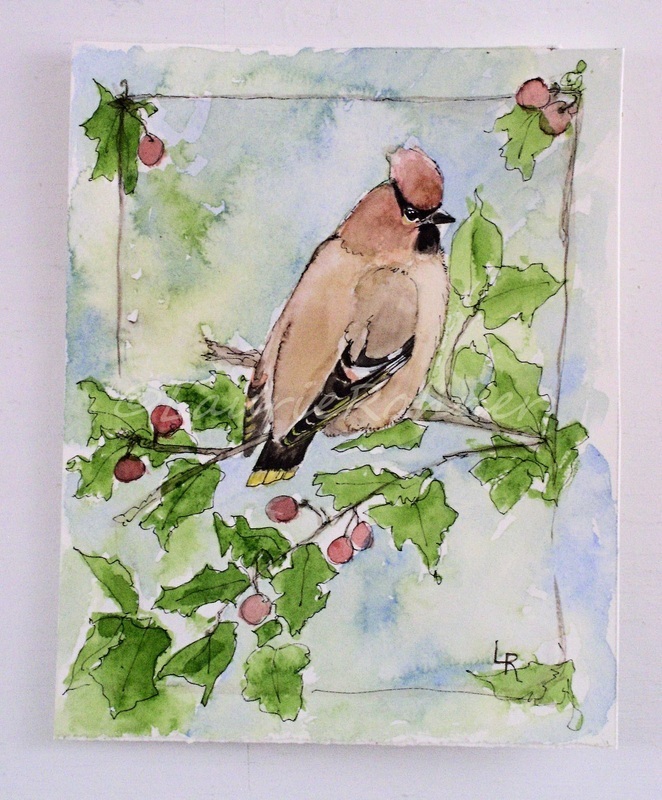 I love these birds Cedar Waxwings, when they make their way through my area. They love to eat the red berries on my holly. 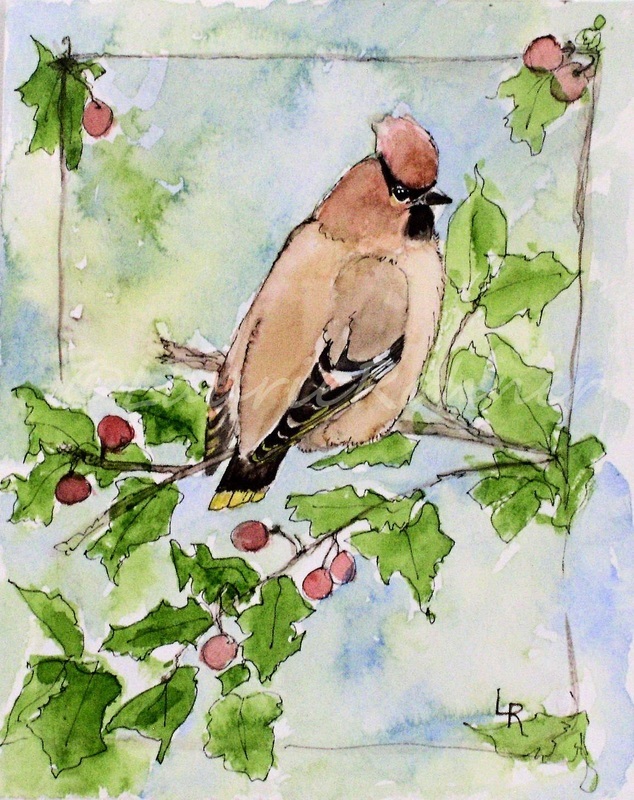 A waxwing sits on the holly branch spying which berry to eat next. The holly and berries sit against a watery blue sky. This is a watercolor mixed media illustration. Signature: LR in front, title signed signature dated en verso.